Over the past century, new farming methods, feed additives, and social and economic structures have radically transformed agriculture around the globe, often at the expense of human health. In Chickenizing Farms and Food, Ellen K. Silbergeld reveals the unsafe world of chickenization—big agriculture’s top-down, contract-based factory farming system—and its negative consequences for workers, consumers, and the environment. 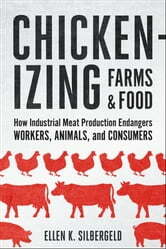 Drawing on her deep knowledge of and experience in environmental engineering and toxicology, Silbergeld examines the complex history of the modern industrial food animal production industry and describes the widespread effects of Arthur Perdue’s remarkable agricultural innovations, which were so important that the US Department of Agriculture uses the term chickenization to cover the transformation of all farm animal production. Silbergeld tells the real story of how antibiotics were first introduced into animal feeds in the 1940s, which has led to the emergence of multi-drug-resistant pathogens, such as MRSA. Along the way, she talks with poultry growers, farmers, and slaughterhouse workers on the front lines of exposure, moving from the Chesapeake Bay peninsula that gave birth to the modern livestock and poultry industry to North Carolina, Brazil, and China. Arguing that the agricultural industry is in desperate need of reform, the book searches through the fog of illusion that obscures most of what has happened to agriculture in the twentieth century and untangles the history of how laws, regulations, and policies have stripped government agencies of the power to protect workers and consumers alike from occupational and food-borne hazards. 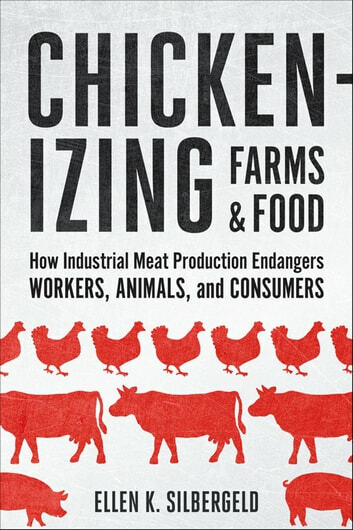 Chickenizing Farms and Food also explores the limits of some popular alternatives to industrial farming, including organic production, nonmeat diets, locavorism, and small-scale agriculture. Silbergeld’s provocative but pragmatic call to action is tempered by real challenges: how can we ensure a safe and accessible food system that can feed everyone, including consumers in developing countries with new tastes for western diets, without hurting workers, sickening consumers, and undermining some of our most powerful medicines?